The need to cut the cost of living expenses is just as important today as it was when the Irish economy first started to nosedive. Most Irish households are running on very little (if any) disposable income, and the challenge of making ends meet from one week to the next is no easy task. 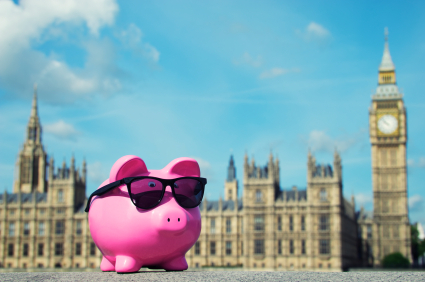 But just when you think that there's nothing left to cut, you could be making some further savings that will make your budget look much healthier, and without too much impact on the happiness of your family. Dig out your paperwork and check all receipts for any over-payments you can claim back. Many people have made huge savings by double checking how much they've paid for refuse collections and other services. If you haven't kept any individual receipts, call the companies involved and ask for a statement covering the last couple of years. If you're paying only the minimum payment each month on a large debt, then you're wasting a lot of money on interest. If you have any savings that could cover your credit card debt, then it would save you money in the long run to pay off the entire debt and start building your savings again. If it isn't possible to pay the debt in full, switching credit card providers could be the answer. Hunt down the best deals and take advantage of any 0% balance transfers to give you a fair chance of lowering the debt without struggling to keep up with the interest charges. Online shopping converts say there are fewer temptations to buy treats and other unnecessary items when you shop online. Teaming up with a friend or neighbour to do a bulk shop could save on delivery charges and help make the best use of any promotions for buying in large quantities. Pay attention to the price per kilo/litre to make the most of any savings, and don't just assume that cost equals the best value. Those chicken fillets may look like the cheapest option, but will they stretch to more than one meal? Spending a little extra on a whole chicken could stretch to three meals, and may even make you some sandwiches for midweek lunches. When all the meat has been used, you can use the carcass to make some wholesome stock, adding the ends of any old looking vegetables you have left in the fridge to make a hearty soup for a light supper, or to form the base of a casserole. 5. Are You Hot On Freezing? Making the most of your freezer space comes high on the list of every money saving household's priorities. 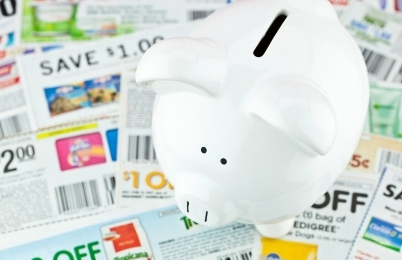 You can save money by buying some foods in large quantities, or where promotions are worthwhile. Cooking in batches can save money on fuel, and you'll have two or three meals ready cooked for midweek dinners throughout the month. Remember to keep a check on your freezer contents as good stock rotation will ensure that you use everything at its best. One of the simplest and most practical ways of saving money, as well as helping you to become more self sufficient, is to grow your own fruit and vegetables. This is another way you can get your friends/family/neighbours involved by sharing any land available, as well as tips and advice on what to grow in each season, and what grows best in the Irish climate. Growing your own may seem like an expensive route to go down, particularly if you think you will need a greenhouse or other costly items, but these things are one-off purchases and a good investment for ensuring that you are eating the very best and saving money on your weekly shop into the bargain. Check your local papers for people selling gardening equipment secondhand - you could get everything you need for very little. 7. Get On Your Bike! Cut your car fuel costs, as well as your gym membership, and get cycling. Not only will it save you money, you'll be amazed at how fit it will keep you as well as costing you nothing. Cycling is also an excellent way to get out together as a family, and in the summer months, a packed lunch in a sunny spot can make a wonderful day out on the cheap. Boiling the kettle for tea? Pop a few eggs in and you've got some back up food for salads and sandwiches. Fuel is one area where easy savings can be made by keeping an eye on your thermostat, having quick showers instead of hot baths, and putting on some extra clothing when you sit down to watch TV in the evening. Better still, get the whole family together in one room and turn off radiators in rooms that aren't used. 9. Make A Stand Against Waste! Waste comes in many forms, and in households it's not just about wasting food. There are numerous stories about how every 100 Euros spent on food will result in 20 Euros worth ending up in the bin. But what about the other types of waste? It may give you a quick high to see a stunning collection of designer clothes, handbags and shoes in your wardrobe, but in these uncertain times, surely it would be more comforting to see a healthy bank balance? Think very carefully about what you are spending, and cut as much as you realistically can from your outgoings. The present state of the Irish economy doesn't mean that you still can't live a reasonably happy and fulfilling life. Putting in place some of the above tips will not only help you save money, it could also help you and your family to live a healthier life for less, as well as give you the comfort of knowing that you're doing everything you can to reduce any financial impact on your children, now and in their later years.